Smokey Robinson (L); Aretha Franklin (R) backstage at Chene Park on July 8, 2017 in Detroit, Michigan. 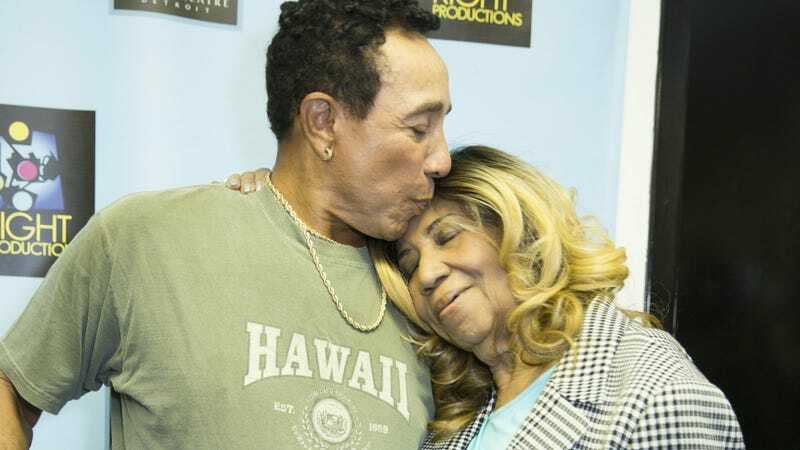 They knew each other almost all their lives, but in the many decades that Smokey Robinson and Aretha Franklin shared a friendship and mutual admiration, they never made it into the studio to record. Anyone who heard the two briefly duet on The Miracles’ “Ooh, Baby, Baby” (penned by Smokey) on a 1979 episode of Soul Train already knows how magical a vocal pairing this could be, but alas, it only materialized in that two-minute improvisation.